Oedipus Rex, also known by its Greek title, Oedipus Tyrannus (Ancient Greek: Οἰδίπους Τύραννος IPA: [oidípuːs týranːos]), or Oedipus the King, is an Athenian tragedy by Sophocles that was first performed around 429 BC. 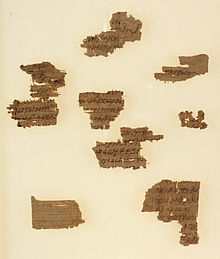 Originally, to the ancient Greeks, the title was simply Oedipus (Οἰδίπους), as it is referred to by Aristotle in the Poetics. 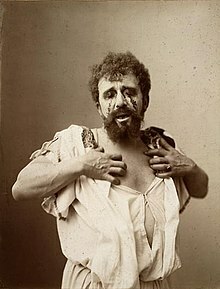 It is thought to have been renamed Oedipus Tyrannus to distinguish it from another of Sophocles' plays, Oedipus at Colonus. In antiquity, the term “tyrant” referred to a ruler with no legitimate claim to rule, but it did not necessarily have a negative connotation. Of Sophocles' three Theban plays that have survived, and that deal with the story of Oedipus, Oedipus Rex was the second to be written. However, in terms of the chronology of events that the plays describe, it comes first, followed by Oedipus at Colonus and then Antigone. On an empty stage the chorus repeats the common Greek maxim, that no man should be considered fortunate until he is dead. This page was last edited on 24 April 2019, at 03:16 (UTC).